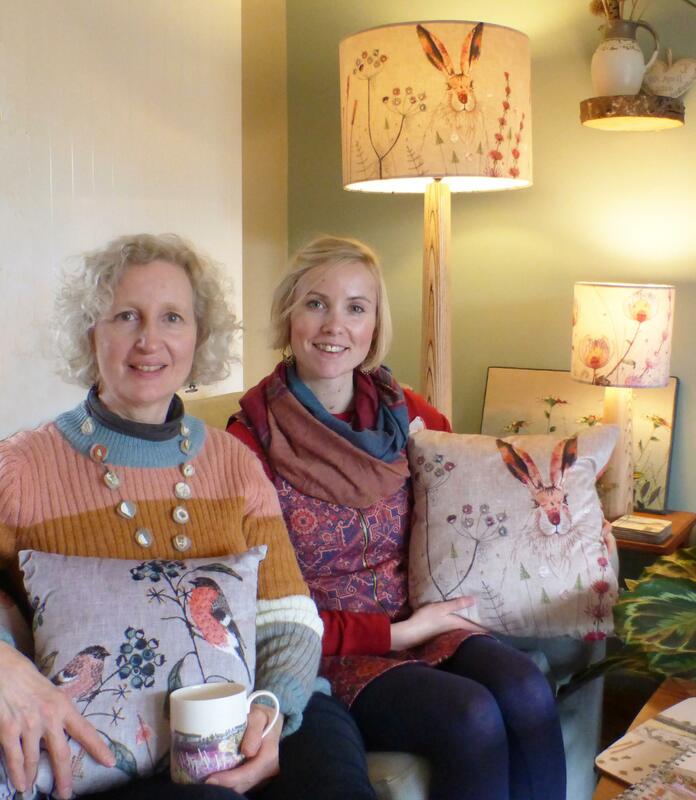 Local textile designer Jo Hill celebrated a successful year in business at her Open Studio event last month, whilst also raising money for Staffordshire Women's Aid. 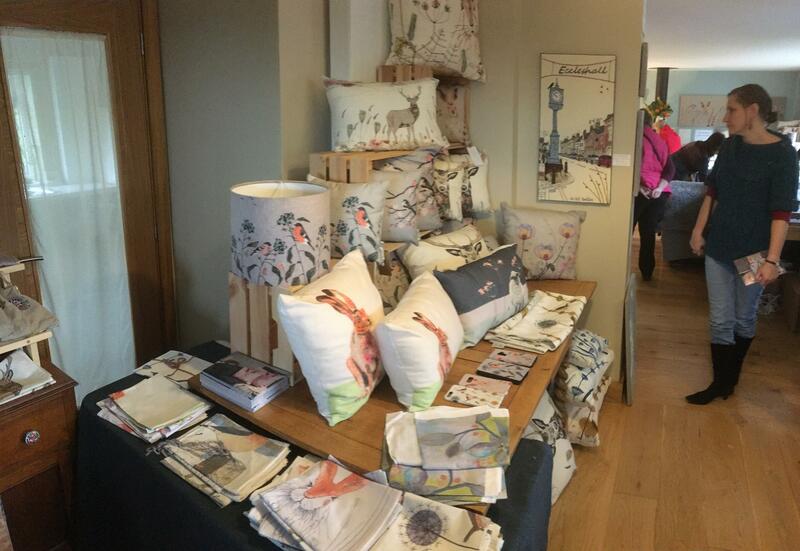 Jo, whose work depicts stitched interpretations of British wildlife, opened the doors to her Whitgreave home for the day to showcase her latest collections. Jo, 53 says, "It was a really busy and enjoyable day with lots of visitors. I am delighted that we raised £112 for Women's Aid with donations from the refreshments and from a portion of profits from the event. It means so much that I'm able to support local women and children through the business." 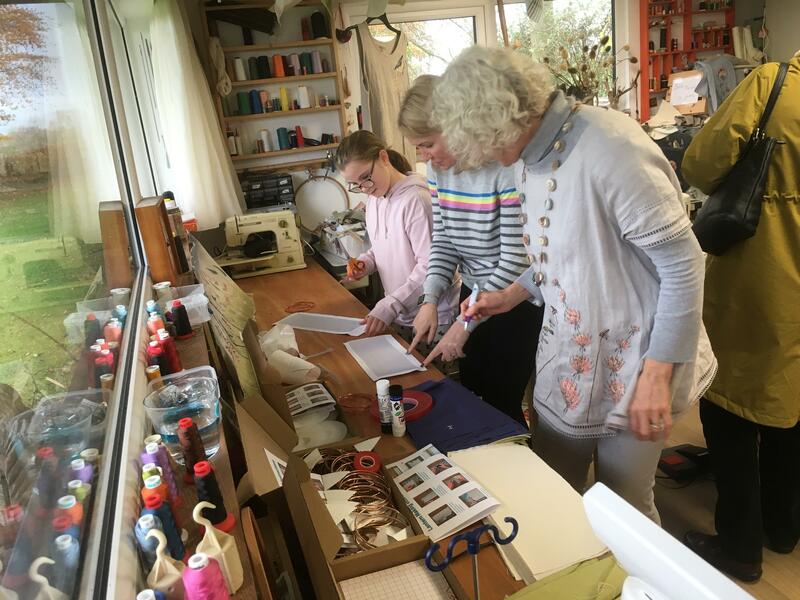 Visitors also had the opportunity to make a fabric lantern and to see Jo at work, creating handmade textile pieces in her custom-built studio. Keen to champion British manufacturing, Jo's range of homewares are designed in her studio and are then made into items such as cushions, lampshades and coasters. Despite operating from purpose-built premises, Jo can often be seen 'out and about' in the local area with her sewing machine, stitching the landscape. "Living in this beautiful part of the country is a real inspiration to me and I love to 'draw' from nature with my machine," she added. "Next time you're taking a walk on Cannock Chase you may see me developing my latest collection there!" Following on from the success of the Open Studio, Jo is keen to make it a regular event. "It'd be wonderful to welcome visitors to celebrate the launch of my new collections twice a year, whilst supporting local charities at the same time," she added.